A new bill before Congress has the power to save lives. The Born-Alive Abortion Survivors Protection Act, known as Bill S. 311, was introduced by Sen. Ben Sasse (R-Neb). The bill states, “If an abortion results in the live birth of an infant, the infant is a legal person for all purposes under the laws of the United States and entitled to all the protections of such laws.” It is important that we strive to protect precious human lives that are at stake. Many Americans would say the leading cause of death is heart disease. However, according to the Centers for Disease Control and Prevention (CDC) heart disease accounts for 635,260 deaths yearly. Abortion is the leading cause of death — there are over a million abortions annually. In other words, there is one abortion every 30 seconds. Planned Parenthood teaches patients the baby will feel no harm during an abortion because the child is in the mother’s womb. This is false. After no later than 20 weeks, gestation, pain receptors are present and functioning. Once the baby is born, has a beating heart and is breathing on its own, there is no reason to believe the baby will not feel pain. Dr. Colleen Malloy, a board-certified neonatologist, has witnessed babies kicking and moving quickly in response to sharp objects during 4D ultrasounds. Shortly after New York made late-term abortions legal, a crime was committed in which a five-month pregnant woman was stabbed in her stomach and murdered by her boyfriend, according to the New York Post. Unfortunately, since late-term abortions were legalized Tuesday, Jan. 22, 2019 by Gov. Andrew M. Cuomo, the man only faces murder charges against the mother, since abortion has been removed from criminal statutes. 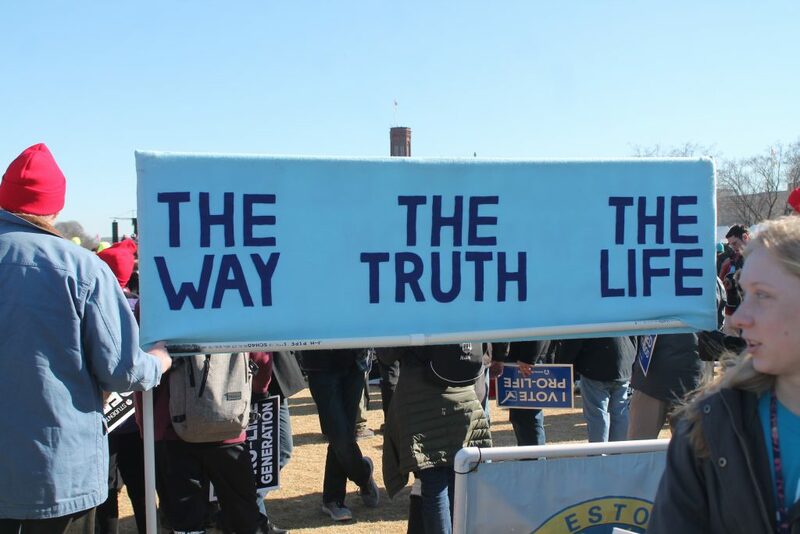 PRO-LIFE — Nation wide pro-life demonstrations occurred Feb. 9 in response to New York’s late-term abortion legislation. America has an abortion epidemic that runs under the radar, and now even extends to infanticide in some states. You will never hear abortion as the leading cause of death. Some women say it is their body and their choice to end their pregnancy, and it gives them a sense of empowerment. The reality is half of babies aborted are females, so it does not empower women, it kills them. A baby in the womb, with its own body, and unique DNA, is not just an extension of the mother, but its own living being. Women who consider abortions are unaware to some of the consequences that may follow. According to the Abortion Risks Organization, women that have an abortion are 3.4 times more likely to commit suicide compared to women who had not been pregnant the previous year. About 45 percent of women who have an abortion have reported suicidal feelings after their procedure. This organization recorded that there is a 110 percent increase for alcohol abuse in women post-abortion. Speak up, rise up and act. Write to your senator or local state delegates and tell them that late-term abortions must be illegal. Once a baby is born, that baby must be given the full legal protection of a human, and no live birth abortion should be allowed. Join me in holding our nation accountable for its actions. How screwed up is our country when criminals who have committed multiple murders are allowed to live many years in prison, but innocent babies are killed because their mothers don’t want the responsibility of raising a child? In ancient Rome, citizens were permitted to just abandon unwanted babies to die from exposure, starvation or wild animals. The Christians of that time tried to rescue those babies. So, in spite of the thousands of years of “civilized progress”, Satan and his minions are succeeding in sucking us back down into the quagmire of child sacrifice and having no regard for human life. In my late teens, I was irresponsible and became pregnant by a man who was not marriage material. I thank God my parents didn’t see abortion as an option and had me give the baby up for adoption. Otherwise, I’m sure the guilt of knowing I killed my baby would have led me to suicide!